I actually have this set but without the diecuts.......now you made me want the diecuts! This is sweet as can be! Great colors! 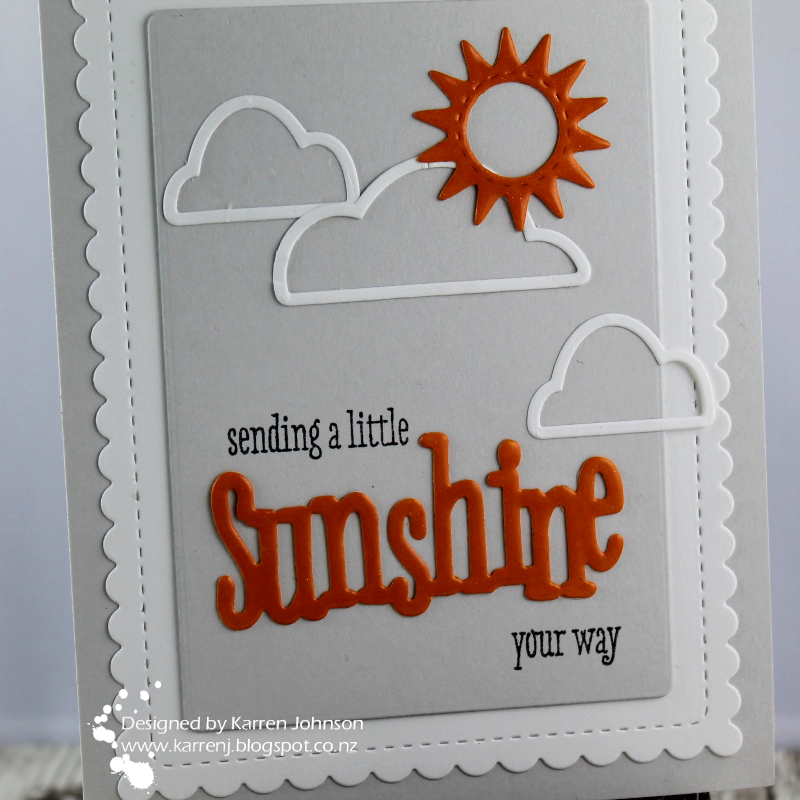 This is such a lovely card, Karren! 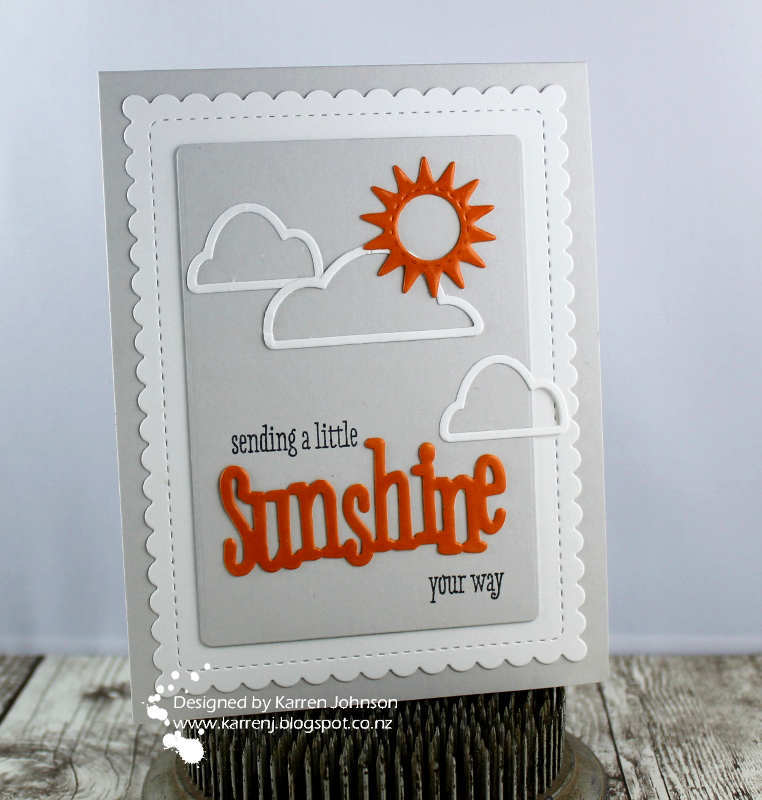 I love your color combo and how you added sparkle and shine to the sun and sentiment! 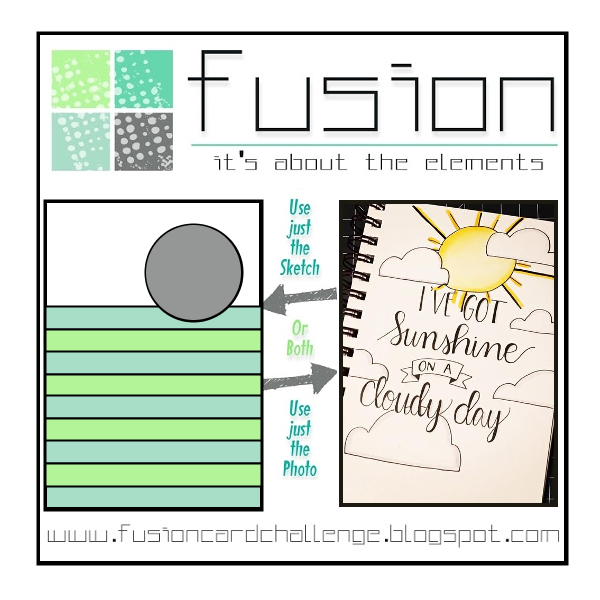 Fabulous take on the inspiration photo!